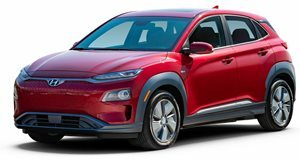 According to CarsDirect, Hyundai has increased the price of its hot-selling Kona EV crossover by $500 in the middle of the model year without giving an exact reason why. This price increase also affects leasing costs. Up until the beginning of this month, the Kona EV carried a starting price of $37,495, including destination. Now add $500 to that amount. It’s not entirely unusual for automakers to alter pricing mid-year, but the timing of this case is actually kind of interesting. If you recall, the Chevrolet Bolt, the Kona EV’s most direct competitor, is now sold with reduced tax incentives because GM’s EV federal tax incentives passed a specific sales threshold. Instead of a $7,500 tax rebate for Bolt customers, that figure is now half, $3,750. To its credit, Chevy will not raise the Bolt's sticker price. Up until this month, the Kona EV and Bolt had exactly the same base price, but now that that Bolt will cost owners a bit more, did Hyundai think it could do the same? We’ll never know for certain, but a Hyundai spokesperson has confirmed the new pricing. Delving into the numbers, it appears it’s now cheaper to buy rather than lease a Kona EV. For example, the Kona EV SEL trim begins at $369 a month for 36 months with $3,899 due at signing. This is $20 more per month than the previous offer. 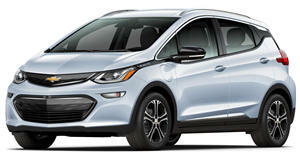 The Bolt, however, can be leased at $279 a month for 36 months with $3,959 due at singing. The simple math reveals an $88 per month advantage here. If you’re keen to buy instead of lease, the Kona EV is also more expensive than the $37,445 Nissan Leaf S Plus and the $36,200 Tesla Model 3. 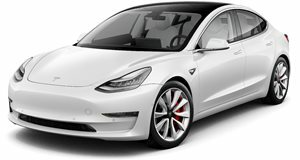 It should be noted, however, that the Kona EV and Leaf remain eligible for the full $7,500 tax credit while the Model 3 has lost the full tax credit. 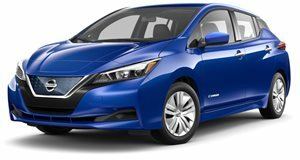 Unless your heart is set on one of these similarly priced entry-level EVs, it’s best to shop around and compares apples to apples. That $7,500 tax credit can make all the difference, even when a vehicle’s base price is slightly higher than a competitor’s.